Finding the perfect cheer shoe within your budget can be a difficult task. One of the ways Cheer and Pom simplifies the shoe buying process for you is by offering a wide variety of footwear at budget-friendly prices. For the 2013 cheer season, Cheer and Pom offers five different styles of cheer shoes for under $30.00. The Power Flash cheer shoes, available in women's sizes only, has a lightweight upper and weighs only 6.5 oz. The upper is very easy to clean and is extremely durable. The slip last provides a performance like fit and the lace locker helps keep the shoe laces tied. 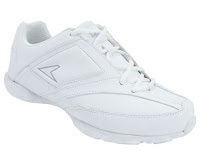 The Kaepa Prism cheerleading shoe includes a removable insole for comfort and shock absorption. The non-marking outsole makes this shoe perfect for wearing on the gym floor. The durability on the Kaepa Prism is top notch with sleek toe bumpers for unrestricted tumbling. 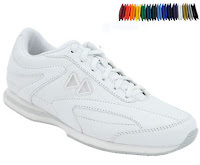 The color changing snap logos make this shoe perfect for cheerleaders of all ages. The smooth leather/synthetic upper and super grip outsole provides comfort and helps improve performance. 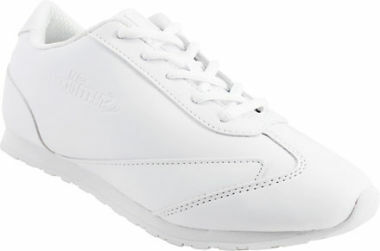 The low profile design makes the shoe look sleek and provides a comfortable fit. The sculpted arch support and rear finger notch provides stunt control . 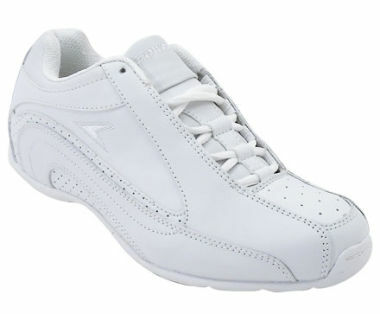 The budget-friend No Limit Rush cheerleader shoe has a sleek and modern style with a very easy to clean upper. Perfect for indoor or outdoor use, the No Limit Rush and be used for recreational cheer or competitive cheerleading. 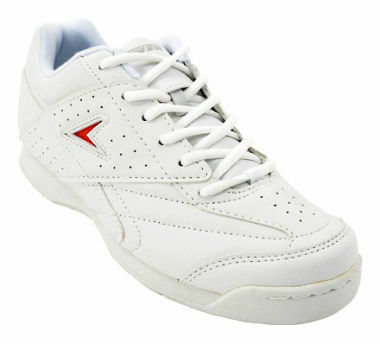 The Power Cheer 2 cheerleading shoes has an EVA midsole that provides comfort and support. An added feature of the full length removable insole allows for an adjustable fit. The scalloped arch and finger notch were added to provide stunt control. The color changing Power logo allows for team color customization.